Hostplus has teamed up with global private investments firm Flexstone Partners, an affiliate to Natixis Investment Managers, to start a US private equity emerging managers program dedicated to the fund. As Hostplus turned 30 in 2018, its investment in venture capital surpassed $1 billion, making the fund Australia’s largest VC investor. 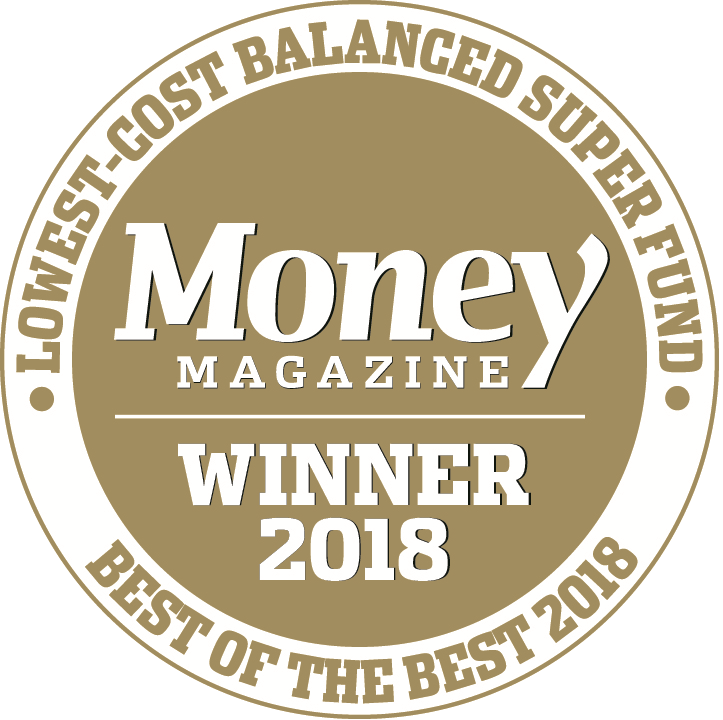 Hostplus also achieved the highest return of all MySuper balanced investment options in the 2017/18 financial year, SuperRatings data shows. Australia’s money gurus have crunched the numbers for you. Hospitality and tourism industry fund Hostplus’s predominantly young member base gives it an advantage over other funds in weathering market falls, CIO Sam Sicilia says. Athena Home Loans, a fintech start-up founded by two ex-National Australia Bank bankers has not even launched its assault on the local property lending market, but that hasn't stopped it attracting the support of some of the most respected investors in the local VC and superannuation sector, closing a $25 million Series B funding round as it prepares to take on the big banks. A $37 billion industry superannuation fund reclaimed its position as fund of the year at the annual Rainmaker SelectingSuper Awards in Melbourne this morning. In July, Tan’s innovation was awarded with the Melbourne Food and Wine Festival’s Hostplus Hospitality Scholarship, which next year will see her visit three top-tier overseas restaurants in a month to seek inspiration in some of the world’s best kitchens. Industry super fund Hostplus has cemented its surprising status as the most influential figure in the Australian tech venture capital scene, increasing its assets targeted at future innovation to over $1 billion and calling for more of its institutional peers to embrace risk and fund the future of the country's economy. The CSIRO's innovation fund Main Sequences Ventures has raised an additional $132 million for its first fund, bringing on board superannuation fund Hostplus. Paul Watson from Hostplus told A Current Affair that industry funds like his have outperformed the big players — the retail funds — mainly because, “we don’t exist for a profit margin or profit motive for shareholders." While some investors might be tempted by low-cost index funds, the results of top superannuation fund performer Hostplus show why it pays to invest across a broader range of assets. A stellar performance by the ­nation’s top super funds has seen them notch up double-digit returns in the year to June 30, smashing the median return of 9.2 per cent. Top of the table for the 2017-18 financial year is Hostplus, the industry super fund pitched at employees in the hospitality, tourism and sports sectors. Hostplus chief executive David Elia sees "no end in sight" for the outsized returns industry super funds will be able to deliver from unlisted and alternative assets. Industry super fund Hostplus is taking a contrarian view on the market as it celebrates being named Australia’s best-performing super fund for the second year running. Hostplus, with its rapidly expanding membership base, pulled clear of the pack to deliver 12.5 per cent for the year ended June 30, 2018. The one-million member Hostplus industry fund has produced the best return of all "MySuper" balanced investment options for the last financial year, of 12.5 per cent. “Hostplus does support the proposal with regard to protecting your super package, which is ultimately about protecting the savings of members and ensuring that they’re not eroded by fees and insurance premiums." Hostplus chief executive David Elia said the code would help his fund raise the bar. “We applaud ACSI for taking the lead in hardwiring stewardship into Australian asset owners’ policies, practices and disclosures,” Elia said. Sam Sicilia, chief investment officer at Hostplus, the top performing $33 billion hospitality industry fund, said the country should expect to see driverless cars on the roads starting from about 2021. Net inflows from self-managed super funds to Hostplus surged to nearly $50 million in the December quarter and topped $138 million in the year to 31 March, putting the hospitality industry fund at the head of a gear shift in super. Hostplus CEO David Elia said his fund was recovering more than $2 million a month in unpaid contributions from employers. In the last quarter of 2017, the fund recovered contributions from more than 3,000 employers. Hostplus announced the $9.5 million investment this week in the Carillon Mitral System - a device currently in its trial stages that aims to non-surgically meet the needs of heart failure patients. Australia’s industry super funds have come out on top in the benchmark annual superannuation fund survey from regulator APRA, with the hospitality workers fund Hostplus taking top place. Hostplus chief investment officer Sam Sicilia said a group of industry funds was likely to consider plans to initially invest up to $2bn to back vertically integrated agriculture projects in Australia. A group of Australian industry super funds, led by Hostplus, is considering setting up a large collective vehicle to invest in Australia’s agricultural sector. Hostplus has joined global investment giants backing a UK-based DNA sequencer, placing $27.5 million in the technology company behind the product. Hostplus has invested $27.5 million into Oxford Nanopore Technologies, joining investors including Singapore’s and China Construction Bank International in the £100M ($182 million) round. Hospitality industry super fund Hostplus is sinking $27 million into Oxford Nanopore Technologies, a UK-based company that has developed a revolutionary hand-held device that it hopes will dramatically expand access to DNA. “Our aspirations are huge but we want to do it in a steady and measured way,” Sam Sicilia, the chief investment officer of the $30 billion Hostplus super fund told The Australian. David Elia, chief executive of HOSTPLUS, noted that about 2.5 million Australians were currently employed on a casual basis. "The opportunity costs of workers not having these hard-won benefits is likely to have unanticipated and detrimental social impacts for them, and budgetary impacts for their communities," Mr Elia said. Two of Australia's biggest industry superannuation funds have backed a San Francisco-based crowdsourced cybersecurity startup, taking part in a $33 million capital raise. Hostplus, the industry superannuation fund for tens of thousands of Gold Coast workers and 1.1 million nationally, is smitten with the prospects for the city’s residential market. Hostplus, a $30 billion industry super fund that caters to employees in the hospitality sector, said the way in which it classified assets as being either growth (risky) or defensive had no bearing on its standard measure of risk. Hostplus recorded a net inflow of $24 million of funds from the self-managed sector in the 12 months to September last year, against a $73 million net outflow in the previous year. Hostplus has cemented its position as Australia's biggest backer of venture capital, allocating $US50m ($66.8m) to Paul Bassat's Square Peg Capital to take its commitment to the asset class to $270 million. One of the reasons Sam Sicilia, chief investment officer of the $30 billion Hostplus superannuation fund, is bullish on equity markets is that he can afford to be. The fund’s chief executive officer, David Elia, has urged Australians to consolidate accounts and maximise compound interest, “...it could mean the difference between affording a deposit on a house at retirement,." The Hostplus Balanced super fund has consistently ranked as the top-performing balanced fund over one, three, five and seven years for its 1.1 million members. Hostplus, which spans employees in hospitality, tourism, recreation and sport, manages about $24 billion has been a big supporter of the VC industry over the years. Hostplus’ sustained industry-leading returns and high value MySuper products were again applauded at Rainmaker’s SelectingSuper Awards in Melbourne yesterday. THE tsunami of digital disruption washing around the globe is creating a relentless undertow for inflation, according to one Australia’s most successful investment experts. Industry super fund Hostplus has sponsored the Richmond Tigers since 2005 and the Melbourne Storm since 2006. Australian venture capitalists can become global players even without the Future Fund's support, Artesian said while announcing a $50 million investment from industry fund Hostplus into his China fund. The $25 billion top-performing industry superannuation fund Hostplus is looking to spearhead moves by the industry fund sector to plough potentially billions of dollars into the agribusiness sector. Hostplus chief investment officer Sam Sicilia said the fund had long maintained a commitment to active management and unlisted assets as two key planks of the fund’s investment strategy. In a recent survey of super funds, Hostplus came out on top as the best performer in the balanced option category. David Elia, CEO of Hostplus joins Switzer TV to discuss the investment strategy. Hostplus and AustralianSuper were the top performing superannuation schemes last year, sitting at the top of the league ladder dominated by industry retirement schemes. The strongest performer over the past year was not-for-profit industry fund HOSTPLUS – Balanced, with a return of 13.2 per cent. Hostplus, one of Australia's main hospitality industry superannuation funds, has announced that it is dropping its member life and disability insurance premiums by 6% and it has guaranteed that it will stay that way until 2020. An industry super fund will reduce its insurance premiums by 6% and has pledged to lock the reductions until 2020. Catholic Super and Hostplus have tied for top spot in the SuperRatings league table of the best-performing MySuper funds in 2016, each delivering a net return of 10.1 per cent.